We’re mid-February and I’ve only gotten around to my first post of the year. What happened to January? Well, I took a few weeks off to recharge, rethink and refocus where I see Airsoft Nation currently, and where I want to be by the end of the year. Today’s post is the afterthoughts of my break; and it starts with an internal stripdown. Through 2016 my attention was scattered across dozens of ideas, half-implemented features, and the occasional bug fixs. This caused me to never completely finish and polish one feature before moving onto the next; that’s going to change. 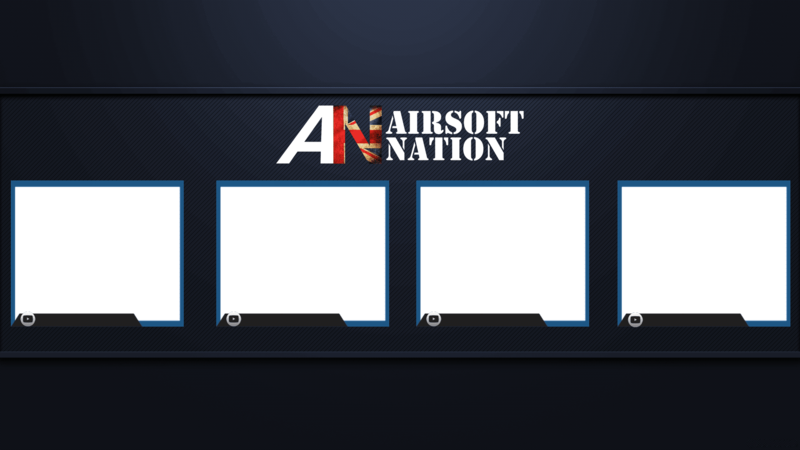 For 2017 I’m going to start by removing all the added extras of Airsoft Nation and strip it back to 5 components that I feel best help benefit the community. Let’s start with the big problem with AN. The website is DEAD! Okay, that might be harsh – but in truth, activity is really (really, really) low. I knew it was extremely likely going to start with an empty room as I build and work on the website. It had taken over 6 months to get to this point but I had to get some early feedback. Most of the launch users who created an account soon went back to Facebook as it is the familiar app. Given how Facebook doesn’t support Airsoft/Businesses, I’ve said from the start that Airsoft Nation is here for when they clamp down even harsher on the scene – something I still believe will happen late this year or early next. So, behind the scenes I’ve been fixing the bugs you picked up – one specifically was the joining groups notification.This has now been disabled, if you do notice any additional bugs please let me know; this feature will only get more popular as the community grows. On top of that, my biggest mistake was to not having a mobile app upon release. Most mobile users rarely use their browser and prefer an app. This will be fixed shortly and I’m currently testing two different styles of the app. Here are a few photos from the progress, it’s still got some key bugs I need to fix. If you have been a member here from the beginning you will notice the front page hasn’t had ANY updates from me. That was terriblely lazy of me and I’ve let you down by not concentrating on content as much as I promised from the beginning. My plan will be to add at least 1 news post each week to the site, potentially multiple where ever possible. The topics may vary from General Airsoft News, Q&As, Announcements, Interviews and maybe some user guides. Most of this takes up a lot of time and I hope to get more writers onboard to assist me but until then I’ll be focusing on keeping the front page of the website fresh. I’m sure you have all noticed the rise of second-hand rif sale websites when Facebook changed their Terms and Conditions. I genuinely believe that right now, AN has the best sales area available which would be perfect for the community. It just needs more activity – So if you’ve got a RIF to sell, why not try on the Market-Place. 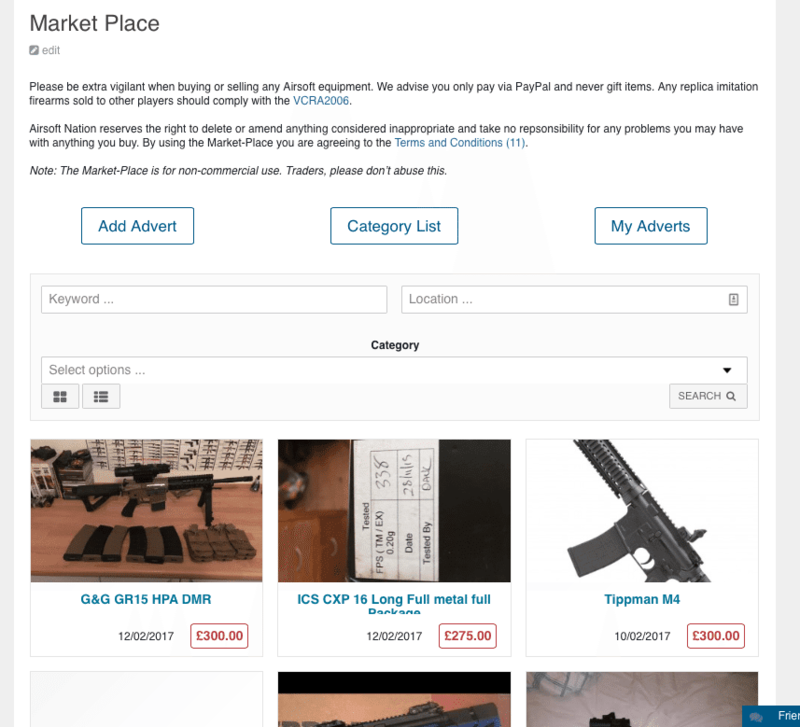 Recently I’ve updated the category list to help make buying/selling items easier. With the launch of the mobile app I’m certain it will only get more popular, take a look and give me your feedback. I love this feature but it’s far from complete. It’s an area on AN that I am going to give a lot more attention in the next 3 months and unfortunately it starts by removing the events and retailer section. The Airsoft map should be a solid resource for all players whether new or experienced and in the near future I will be heavily promoting the map as the best way to find your local sites. I’ve already started work and now have someone actively updating the map so you should notice ALOT more points on the map in the following 2 weeks. In addition to that, to avoid overcrowding I’m going to start grouping pins together which open up as you zoom in. Special Note: Retailers and events will be added in the future, I just want to provide a better service and focus on completing one section at a time. The final feature is something that I haven’t offically announced yet, and will be formally announced tomorrow. As many of you will know, I am a massive fan of Podcasts, regularly listening to both the Airsoft Kings and The Floperator. However, I want to go one step further, so from the 20th of February I will be doing a LIVE talkshow hosted on YouTube. This weekly show will discuss airsoft news, answer YOUR questions and feature different guests each and every week. I’m super excited to start this and more details for our first show will be going out tomorrow. So, that is my focus for AN at least for this half of 2017. I’m sorry it’s taken so long to hear from me, but behind the scenes it’s all ticking away. Let me know what you think of my goals and where you think I could improve.